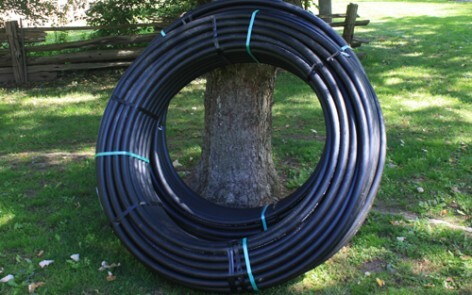 The pipe used to form the ground loop of a geothermal system is composed of extruded HDPE (high density polyethylene) pipe. We use only CSA 448 approved pipe for all our installations. Once the pipe is properly installed in the ground it is effectively permanent and can be expected to function without any further intervention or maintenance for up to one hundred years. 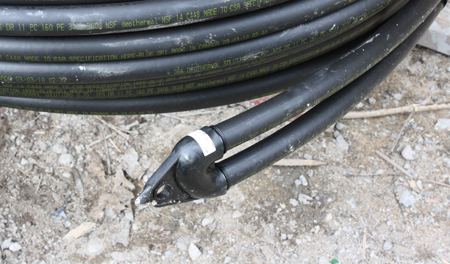 The ground loop is like a renewable energy battery that never losses it’s charge. Once installed under your property it will provide the energy to heat your home for decades to come. In the summer months the same pipe is part of the cycle used to cool your house by taking excess energy (heat) out of the home and depositing it back into the ground. In this case, the ground acts as a heat sink for the dissipation of the unwanted energy (heat). The same system of pipes are equally effective at transferring energy to and from your home during the heating and cooling season. The transfer of heat from the ground and into your home during the heating season is just as effective as the transferring of heat out of your home and into the ground during the cooling season.